The BARF Baja thread is getting crowded so I will start my own and for those that don't know I love to collect tracks and I will be showing them off. 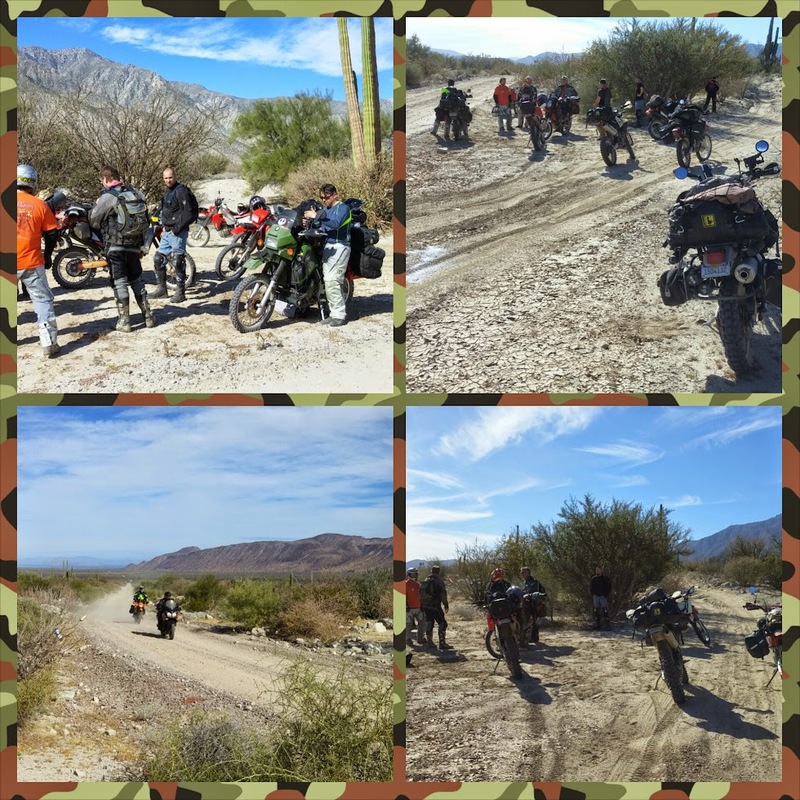 Everyone's trip to Baja started and ended slightly different but as we converged it gets similar and the fun begins. Day 0 - Ride up to San Rafael to get to the BAT (BigAssTrailer). 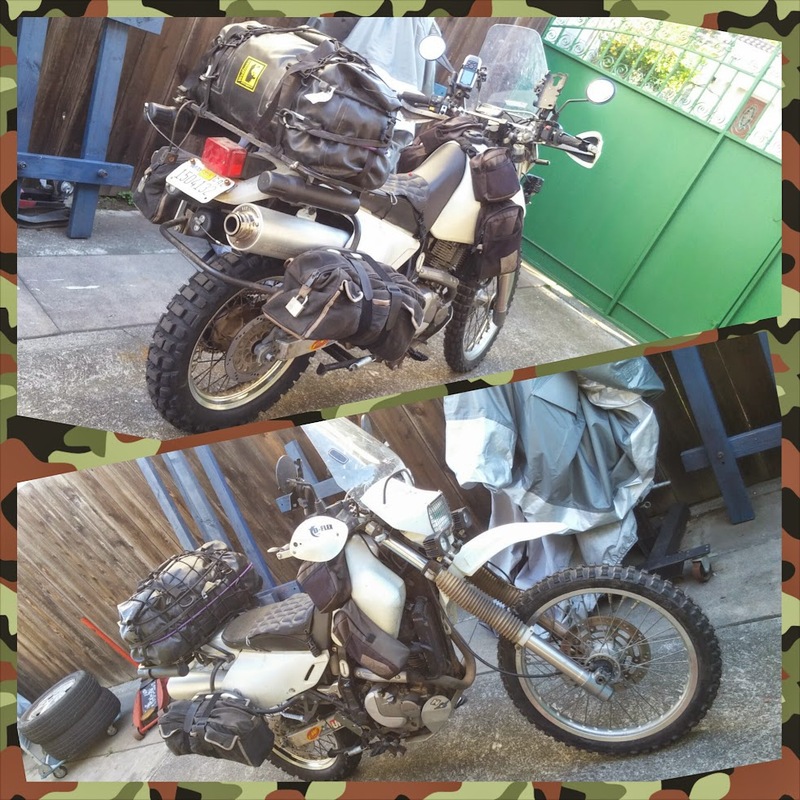 I started off from home with my DR650, 1 of 2 of the Team Suzuki bikes. I had originally planned to either take my van and harbor freight trailer down to BOLA or catch a ride with Sasquatch with the BAT. I wound up doing the later. Here's the DR fully loaded and ready to take off from San Jose, I brought enough gear for a solo ride. I left around 2000hrs because I didn't want to ride through much traffic. Unfortunately that means its going to be colder but no biggie. I'm prepared for the hot, cold, and wet. It was a pretty uneventful ride, its about 1.5 hours to San Rafael from San Jose. I show up and we load the DR650 on the BAT. I got to take my first nap on a boat thanks to ThumperX. Last edited by HadesOmega; 02-05-2015 at 09:19 AM..
Wake 0600 and hit the road. I was riding shotgun in Sasquatch's Toyota Tacoma towing the BAT. It was a long day. It pretty much took the whole day to get to San Diego. Sasquatch motor'd on and drove the whole way stopping for gas and food a couple times. 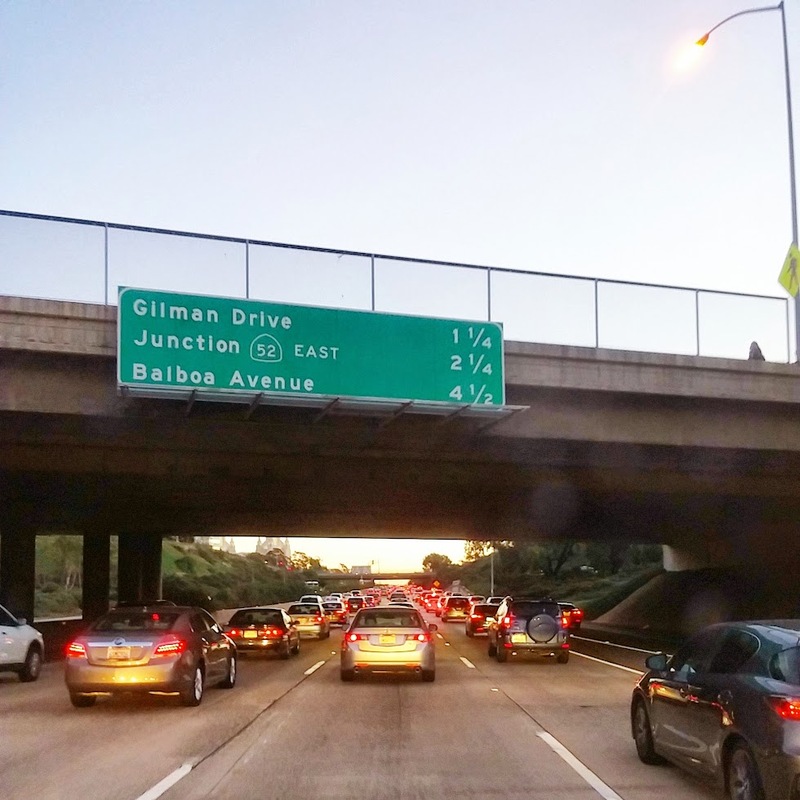 Traffic was bad as usual in LA and San Diego. I was trying to navigate around them with google but accidents were all over the place couldn't avoid it. We eventually made it to the rally point Best Western Hotel. My sister lives in San Diego so after we secured the bikes and gear I met up with my sister for some dinner. Another 0600ish wake up and we meet up with everyone in the parking lot. 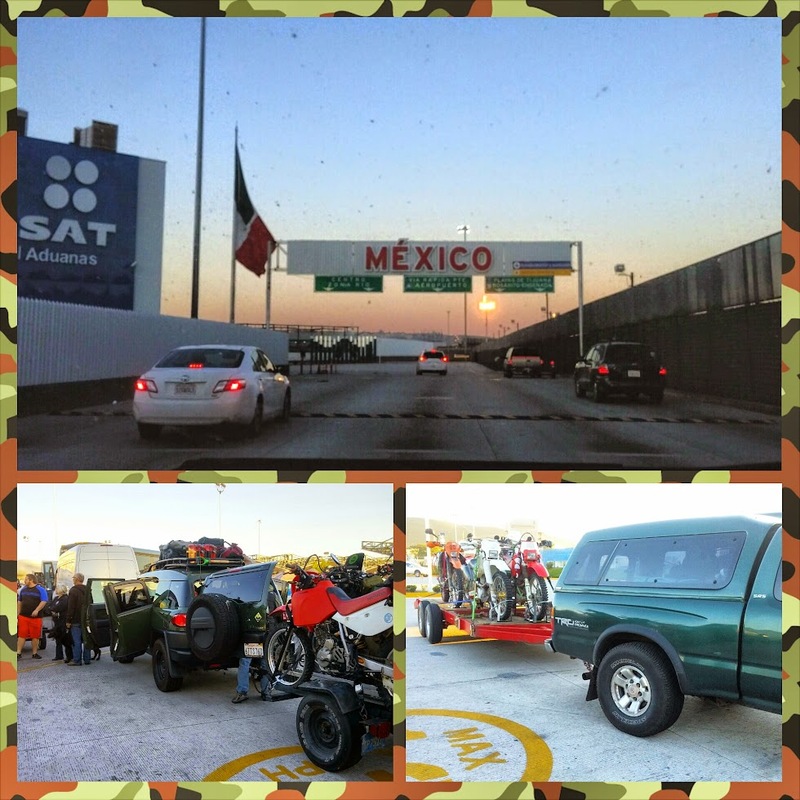 We head we head to the border and have all our vehicles inspected and purchase our tourist cards. Then we south of the border. We are in Mexico! 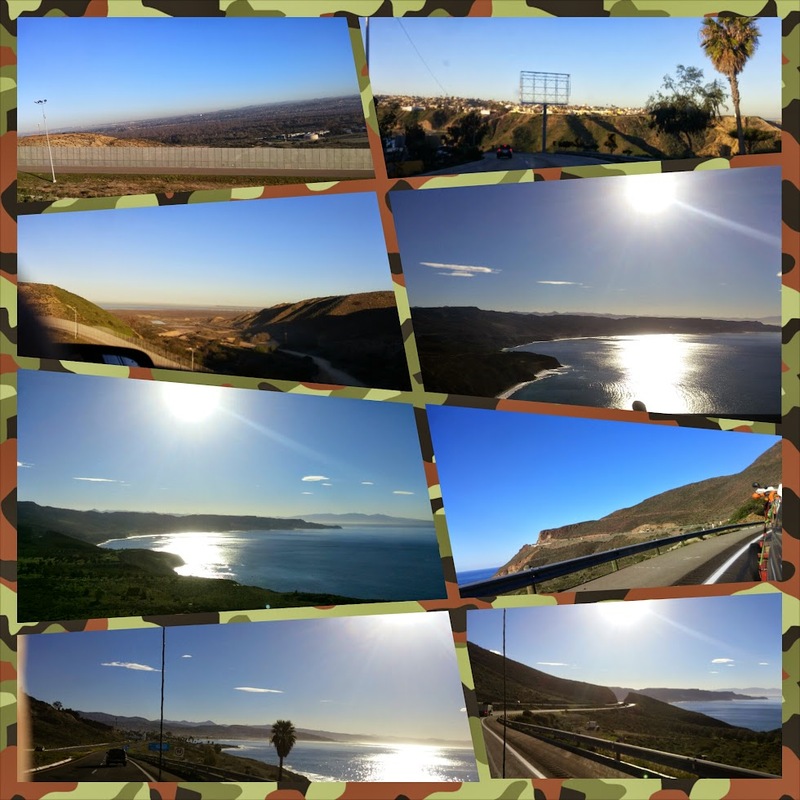 Pictures after the border crossing along the coast highway. Port of Ensenada, you could definitely smell Ensenada because it smelled like pollution. We stopped for lunch in El Rosario and had lunch at Mama Espinoza's. This is the first meal I had in Baja California yummy. Had some delicious tacos. 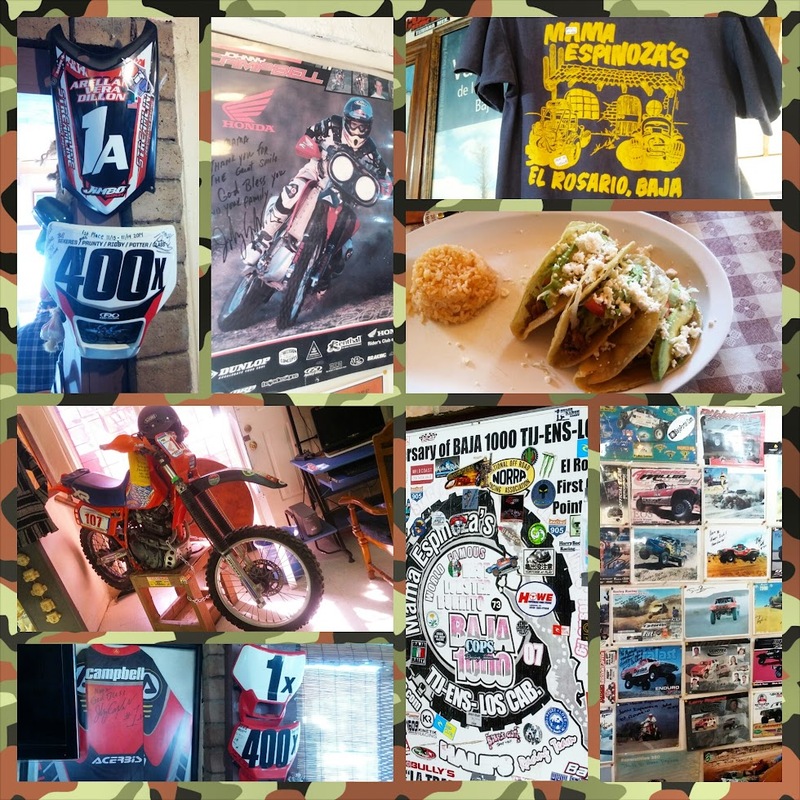 The restaurant had a lot of cool Baja racing souvenirs everywhere, even a whole motorcycle. I also bought a tshirt and a Baja Rally sticker. 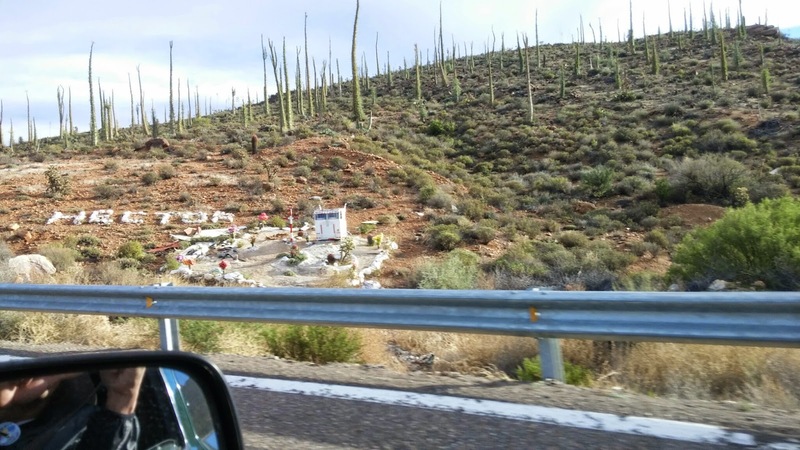 Its fairly common to see these memorials for people that have died driving in Baja. The roads are dangerous in Baja especially for large vehicles. The roads are narrow and there aren't any shoulders and some of the roads are poorly maintained. Watch out it looks like its gonna fall on us! See this here orange and black striped sign? If you see one of these while driving watch out because it means something muy peligroso is comin your way! We make it to Bahia de Los Angeles after dark. There were two section where the road had totally gone to $hit because of a big hurricane went through. Somewhere along the way we lost a tire on the BAT, it just exploded. It was so dark and we were too tired to even notice. It did have 4 tires also. We made it but lost a tire and its a tough tire to replace. 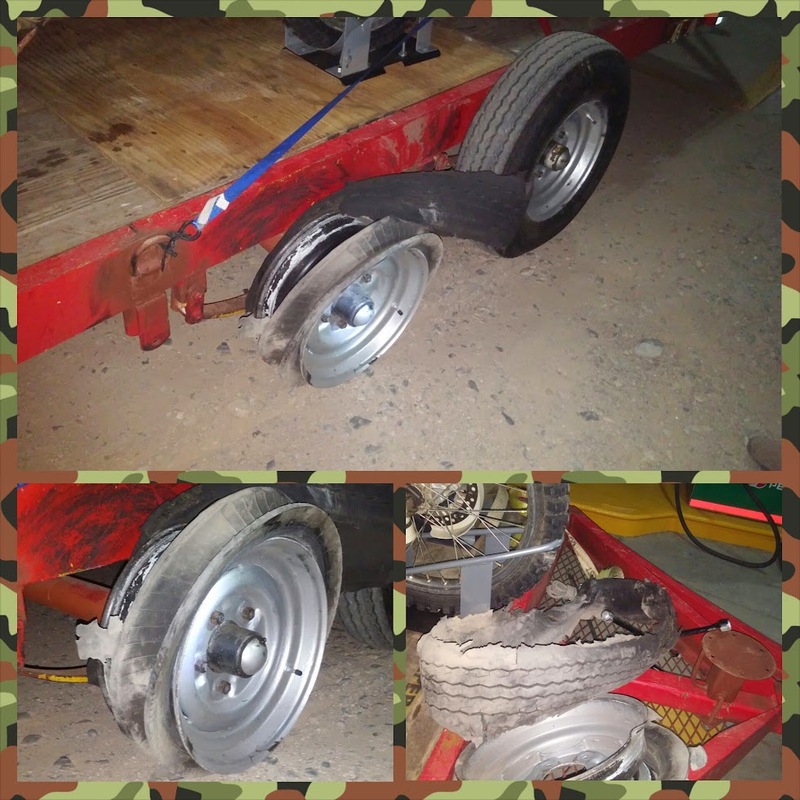 A nice hombre came to help us out at the gas station and finds us a wheel to put on the trailer. Problem is the wheel is too big and the tires aren't lookin so hot. But its enough to make it to our camping spot Dagget's. Last edited by HadesOmega; 02-04-2015 at 11:17 PM..
We make it to Dagget's and drop our stuff and the Bat off and head off for dinner. I hop in the back of a pickup as you can see in this picture. I get some Burros at the restaurant. Apparently Burritos are know as Burros (donkeys) in Baja California. I seriously thought they were gonna serve me some donkey haha. The soup was delicious too. Last edited by HadesOmega; 02-04-2015 at 11:21 PM.. Excellent write up and pics Merlin! Thanks! Looks like you guys had a blast! I hope to be on the next one. Stupid wedding got in the way for this one. Fantastic, another wonderful HO ride report! 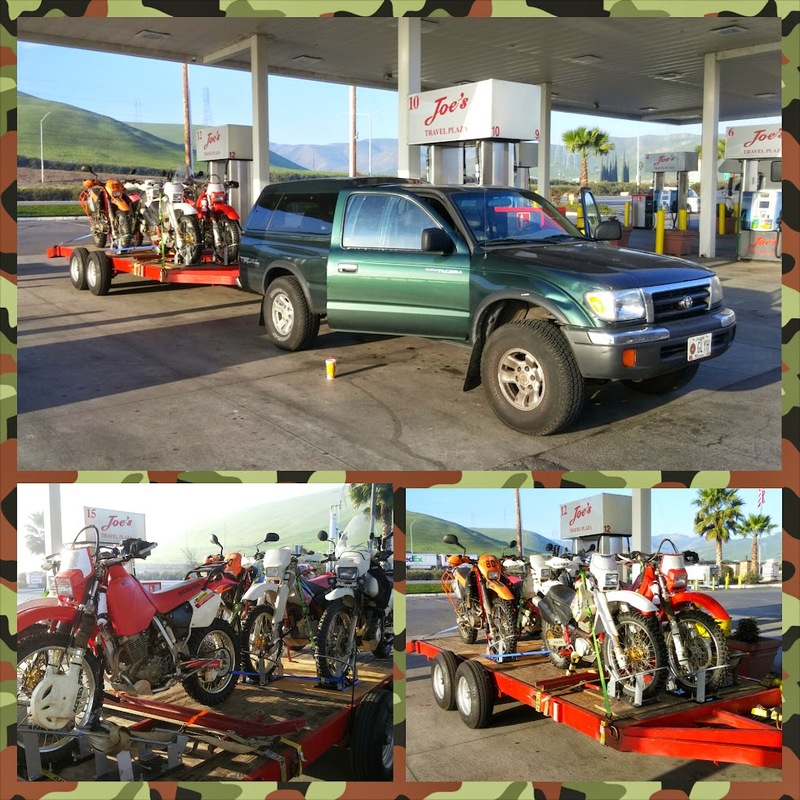 Last edited by SFMCjohn; 02-05-2015 at 03:39 PM..
Everyone getting ready to ride Baja! My new sidestand foot is already paying itself off. I highly suggest one of these if your bike has a stubby kickstand. After everyone was ready to roll we set out for San Francisquito. First we rode through town and set out on the dirt. So I kinda just took it easy and hung in the back. The fast dude's were all in the front hauling maybe 50mph. I was probably chugging along around 35-40mph. Its been a few months since I have done desert riding and I'm not the best desert rider either. The bike got a little squirrely in the sand also, but I would get lots of sand practice in the coming days. We stopped for a break and I took a cactus picture with my bike, these cacti are HUGE, sometimes there would be a whole forest of them. Its no wonder these are on the Mexican flag, there were plenty of eagles too but didn't see any snakes. Last edited by HadesOmega; 02-05-2015 at 08:08 PM..